Hokkien Hae Mee or mee yoke as it is called in Kuala Lumpur originated from Penang, where it is simply known as Hokkien mee. This noodle soup has since become popular in the other urban centers in Peninsula Malaysia. As the name suggests, this delectable dish has its roots in the maritime Hokkien (Fujianese) cities in China and acquired its spicy flavor in the warm tropics. Like all favorite urban dishes, the debate on the best Hokkien mee rages in both Penang and Kuala Lumpur. In many of the best Hokkien mee stalls, the wait is long and fraught with the anguish of a sudden end when the stall runs out of soup. It is not uncommon for patrons to agree to a stripped-down version with only the noodles and the soup when the accompanying toppings and condiments run out. Such is the draw of a good bowl of Hokkien mee. Hard to believe Nona-Nona is into its fourth month running. So far Denise and I have prepared kerabu (a Nyonya or Malay salad), used sardines, and made Chinese kuih. 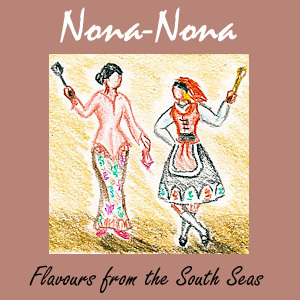 Since noodles make up a big part of the Malaysian and Singaporean cuisine, it is only fitting that one of Nona-Nona’s theme should feature this ingredient. Therefore, I suggested Hawker Noodles (peddler or street vendor noodles) for today’s theme and Denise being the versatile chef that she is quickly agreed. I do not have a clue as to what Denise has prepared. I hope it is not prawn noodles. 😉 Let’s hop over to her Singapore Shiok kitchen to find out. 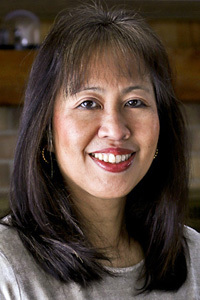 While you are there, do check out her brand new cook book launch at Kinokuniya (Takashimaya, Orchard Rd, Singapore) this Saturday, July 21, 2012 at 2:00 pm. I heard it’s going to be fun out there with chances to win copies of this cookbook, food tasting, and a cooking competition. For full details and program, click here. The fresh mee (yellow egg noodles) and koay teow (flat-cut rice noodles) in Malaysia and Singapore are some of the best I have eaten and they are consumed at all times of the day. When fried like in char koay teow (fried rice noodles) or combined with a tasty soup as in koay teow th’ng (soupy rice noodles) or Hokkien hae mee (prawn noodles), the combination is out-of-this-world. It is the very quality of the different noodles that sustain the popularity of the top 5 noodle dishes in Penang – Hokkien mee, asam laksa, char koay teow, koay teow th’ng, and curry mee. Over here, I am just thankful for whatever fresh or frozen noodles offered at the Asian markets. It is almost impossible to find Hokkien Hae Mee here in Minnesota. This is one of the must-eat dishes for me when I visit Malaysia. During my recent trip, I ate it twice – once in Petaling Jaya (the one I usually go to when I visit) and the other time in Kuala Lumpur (recommended by my brother). Both soups were richly flavored with shrimps and pork. To get that deep shrimp flavor, the shrimp head and shells are fried, blended, and mixed into the soup. The soup is already slightly spicy but the punch comes from the additional chili condiment served as a side to be stirred into the soup. It’s delicious! Many noodle dishes are served with eggs in Malaysia. Often times, slices of hard boiled eggs are added as a topping in Hokkien Hae Mee. I omitted the eggs this time. Update: If you wish to make your own chili paste, please check out this –> recipe. Peel shrimps, reserving the shell. Do not discard. Pat dry with paper towels. In a large pot, bring about one third pot of water to boil. Add pork ribs and pork belly. Continue to boil for 5 minutes. Remove pork ribs and pork belly with a pair of thongs. Discard water. Fill the same pot with 10 cups (2.4 liters) of water. Bring it to a boil. Return pork ribs and pork belly to the pot. Lower heat and allow it to simmer. Heat 4 tablespoons vegetable oil in a medium sized pan. Add sliced shallots and fry until fragrant and golden brown in color, about 5 minutes. Remove with strainer and set aside. Add blended onion and fry for about 3 minutes. Add chili paste and continue to fry for another 2 minutes. Transfer to a small bowl. Add remaining 1 tablespoon vegetable oil into the same pan. Add shrimp shells and fry until shells turn pink, about 3 minutes. Remove and allow fried shrimp shells to cool slightly. Blend the shells in a food processor until fine. Transfer to a filter bag. Place filter bag and 2 tablespoons of cooked chili paste (keep the remaining as condiment) to the soup. Season with salt and allow soup to simmer for 1½ hours. After half an hour of simmering, remove pork belly. When cool enough to handle, slice thinly and set aside. In the meantime, fill a separate pot half full of water. Bring to a boil. Scald bean sprouts for about 20 seconds. Remove with a metal strainer. Do the same for water spinach. Discard water. Refill pot with water and bring it to a boil. Add noodles and allow it to cook for about 3 minutes or according to packaging instructions. Do not overcook. Remove with metal strainer. When soup is done, remove pork ribs and filter bag with processed shrimp shells. Discard filter bag. Remove meat from pork ribs or discard. Add fish sauce and shrimps to the soup and allow it to cook for about 3 minutes until shrimps curl and turn pink. Remove and set aside. Place a portion of noodles, bean sprouts, and water spinach in a bowl. Pour soup over noodles and vegetables. Top with shrimps, sliced streaky pork, and reserved chili condiment. Serve immediately. 1. Additional topping may include slices of hard cooked egg. 2. For a richer soup, save as much fresh shrimp heads and shells as you can in the freezer until ready to be used. Wow! That looks fantastic!!! Glad you can get kang kong over there now, because I can’t imagine hokkien without kang kong 🙂 Love the addition of slice pork belly – most hawkers give it a miss to cut down on time and effort. I do like portions of pig tail in it too *YUM*!!! Glad we managed to evade a recipe repeat yet again!!! Haha, waiting for the day we finally post the same dish 😀 Great post as always Biren – so delectable, so informative, so very, very tempting!!! Thanks Denise! Yes, I am glad kangkong is being sold again in Minnesota. Since the ban was lifted, I have been buying it. Quite pricey over here but there is no substitute for kangkong. Piggy’s tail? Haha…can’t imagine what the people here will think. You are most welcomed. Wish I could be there. Sounds like a lot of fun. Amazing dish! I feel as if I can smell the aroma from those photos! And it’s so simple :-). Definitely something to try. One more brilliant recipe. Thank you for sharing and have a great week! Congratulations on your book launch! We have always adored the authenticity of your dishes. I love recreating your dishes in my little kitchen (with the help of my friend from the Asian store) Thanks for sharing delicious mixes. Myfudo here, by the way…we are moving to a new domain http://www.yumgoggle.com, (previously myfudo.com) this has been a project we have been working on for almost a year now. We just launched our new gallery submission site, and we are just thrilled. Unique and interesting bloggers like you will make the Yumgoggle gallery more fun and exciting. We look forward to seeing your wonderful pictures, as always. We dont normally post links through our comments but this launch is something we are glad to share with you. 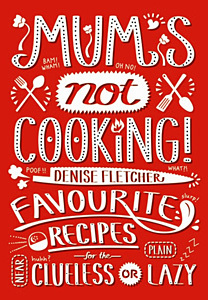 Thanks for the kind words but that is my friend, Denise’s book launch. 🙂 Will check out your new site. Congrats! I wanted my boys to try this dish. The preparation was a little long but worth it as they both enjoyed it. I did not realize there is a dry style hae mee. I need to check it out the next time I am in Singapore. Huh, u haven’t tried dry Hae Mee?? Gosh, u must try! A lot of my Japanese friends used to order soup when they first arrive in S’pore, but they’ve all ditched that & go for dry ones now. Hahaha! Thanks always for your kind words Ramona. You have a great week too! Wow, your Hokkien mee looks much more delicious than those from the hawker stalls. Sometimes they add in pork ribs too, at extra cost. I am impressed! You cook this from scratch! I love eating this noodle too, the soup especially is so flavorful and the smell of prawns so fragrant! Hae mee is really delicious. Good to be able to cook it at home especially here in Minnesota. There is only one Malaysian restaurant that I know of here and I am not sure if they have this dish. I am from Pg, now living in Canada. Here is my lazy, quick but yummy way to make the soup. Boil up pork bone soup. Sometimes I throw in a chopped up pig tail. After abt an hour, open a can of Yeo Hiap Seng prawn sambal and throw it in. Add more hot sauce if desired, and a handful of deep fried shallots(store bought). Boil another 15 mins or so, throw in some ikan bilis powder etc if needed. Then prepare all the other ingredients. Sometimes I use sliced charsiew or even add in fishballs. Tastes darn good. I’ve seen those noodles before at the Asian market but didn’t know what I would use them for. Now I know. What a delicious bowl of goodness! I guess I missed Nona Nona. What a cool idea and what fun! Now I’ll need to go back and check out the last four months as well as your Nona Nona buddy, Denise. Great post! Yes, these noodles work nicely as a substitute for the fresh yellow noodles in Malaysia. Hopefully you get to try it one of these days. Oh my! That looks amazing. I can’t wait to try it, I have a feeling I’m going to be drinking that broth! Yum!!!! What a great dish! So pretty, and love the combo of flavors you’re using. And you’re right, it does seem pretty straightforward to make. the pictures are great. Heck, the whole pot is great! Thanks. Those look delicious! I have to try them! I love noodles with prawns and a bit of spicyness! Thanks Pola! Shrimps are so good in noodles. That looks delicious, Biren! Hokkien noodles are absolutely my favourite and the combination of flavours you’ve got there sounds amazing! Wow! One of my favourite Malaysian dishes. I’m glad you chose this dish in your Nona2 battle. Gotta try make this dish…SOON! I have already printed the recipe and plan to make your soup this week! You’ve created a masterpiece once again with all the delicious flavor combinations as well as a stellar photo! Honestly, I can’t remember how I found you of if you found me, all I can say is…I’m continually fascinated with your authentic recipes and covet your friendship!! I am sure your noodle soup will turn out beautifully. I hope you enjoy it as much as I do. I bet this is amazingly fragrant! Wow, really looks delicious! This dish IS available in Minnesota, and in my town of Apple Valley, at Satay’s-To-Go. It’s a great little storefront and well worth a trip. Hi Biren, Do you recommend making this a day ahead if planning for a party? I really miss Hae Mee. Yes, you can make it a day ahead. The soup will taste even better.